Occasionally I will have adults available that I have decided to rehome or help other people place. 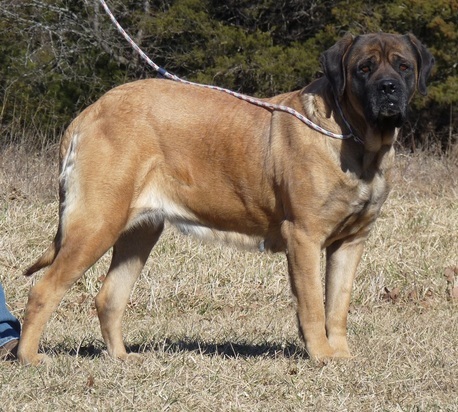 Molly is a 4 year old apricot English mastiff. She is very sweet and loves people. She is spayed, housebroken, and leash trained. She’s on the smaller side of the mastiff world. She’s about 120 lbs. She doesn’t like outdoor cats, chickens, or rabbits. She will eat them. She is fine with inside cats. She needs to go to either a single dog home or a home with a male dog. She isn’t overly friendly with other female dogs. She has been around kids her whole life but I would prefer that she goes to a home with older kids that won’t harass her. Molly is very quiet and minds well. She is ready for a quiet, laid-back life of retirement. Price is $400 OBO.